The brand is the idea of the company in the world’s eyes. According to Seth Godin, “A brand is the set of expectations, memories, stories and relationships that, taken together, account for a consumer’s decision to choose one product or service over another.”. Most times the customer associates with the brand like its an entity, historically, emotionally, visually, mentally, financially and the likes. The brand encompasses everything that has to do with branding as a whole such as service, price, product quality etc. Branding is one of the most significant parts of your business. It is the process or art of using marketing techniques to create a distinctive brand. Branding is a way to share your vision with the customers. It is a process that involves planning and creative thinking considering logo, colours, packaging, messaging, typography and the likes. Brand identity is an assemblage of all brand essentials that the company makes to depict the accurate image of itself to the customer. Your brand identity will either get you new and loyal customers or keep away prospective customers. Brand identity is the graphic element of a brand that embodies the bigger ideas. 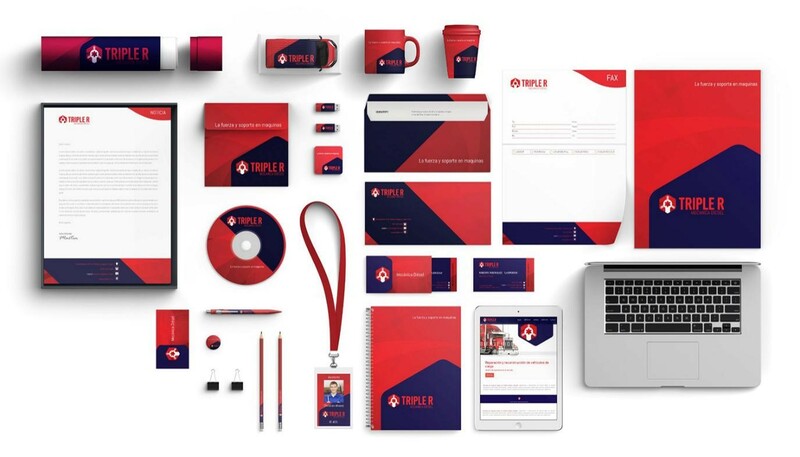 The brand identity uses the branding process to strengthen the reputation of a brand. It is simply what the brand is known for, what it thinks of itself and the consumers think of it. Brand Design is simply what enlightens clients of what they can get or enjoy from your products or services. 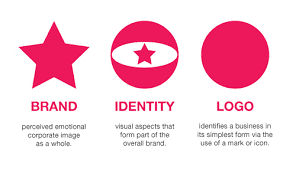 Knowing all this, here are some key elements of brand identity design to consider. 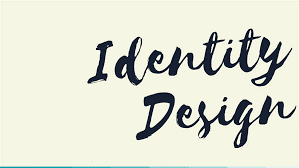 The first step to creating a brand identity is identifying for your target customer. This will determine all the other variables. Identifying your target customer means forming a comprehensive persona of your ideal customer. This will give you direction when channelling your energy. This will involve market and customer research, and you can do this by simply having conversations with people and asking the right questions. This task is not as tedious as it looks you start with statistics such as gender, age groups, location, income and so on. You can then extend your research to include lifestyle, tastes, desires, community practices, needs and desires. After doing a rigorous survey, you will have most of the comprehensive information you need to drive the main idea and decisions of the brand identity. Then you can begin to think about the digital advertisement. Visuals for brand identity designs usually covers what clients can see on the outside as it concerns the brand. The visuals must be concrete and genuine. This does not mean that the visual should be lacking in creativity, but it must not be so complex that it is distracting. Your Brand Identity is compromised if the visuals are not such that leaves a lasting effect on any person that contact it. A good example will be the Coca-Cola brand. When you look at Google’s Visual Assets Guidelines, you can see how they meticulously explain their stand on an icon. From the attention given to their visual language, it is easy to distinguish any google icon. In the world of Brand identity design, the focus is placed on the visuals, and almost no priority is put on the content. Although visuals may be attractive, content is what keeps the client. For example services. They all have to deal with students whose main problem is ‘dissertation writing help by experts’. There are tones of writing services nowadays, and each is trying to attract clients offering them lower prices. However, content development is what will differentiate you from any other essay writing company around. One of the key elements of brand identity is to create a simple and sweet slogan suitable for that is compelling and easy to remember. For example, Nike’s Slogan ‘Just do it” is simple, inspiring and memorable. The slogan must be such that it easy for even a child to remember. Subject to the whole idea of the business you have to consider the kinds of contents that will be on the website, blogs and other social media accounts. The deficiency of actual content or substance in your marketing will not just hurt financially, but it will affect the brand as a whole. If your business is not a visually creative company, it is advisable that you pay as much attention to visual content as you do your text-based content for digital advertisement. However, this is subjective to the nature of the business. The logo of any brand is its cornerstone. Most times it is the first, and sometimes the only element of that consumers interact with, and therefore businesses are tempted to focus and channel their energy toward getting a landmark logo. 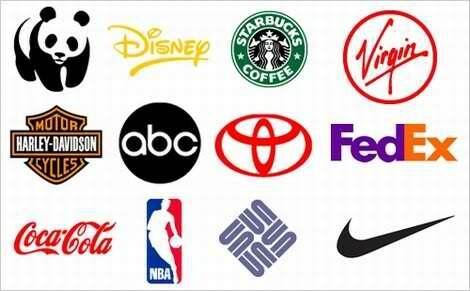 The logo is a constant mark that is used in any form of advertisement. It is important that the logo even though simple is still eye-catching and memorable. The logo must define, compliment, and boost the brand. It must align with all other elements of your brand identity as well as appeal to the customers’ emotions. Depending on the nature of the business the shapes, colours and typography must tell the story of the business. Disney’s logo exudes laughter, magic, fun and is fascinating yet simple. The logo should be such that can be displayed anywhere and anytime, i.e. it should look great both on a billboard and as social media icon or daytime and night-time. Generally, colour is very important. It has the ability to affect the psyche, emotions, perspective and even action. Bright colours usually make people smile, dull ones dampen the mood, serious colours connote a tone of formality, and the list goes. Colours that are used in your brand colour palette have a lot of impact on the consumers strategically. Here are some colours that help brand identity designs. Red inspires passion and excitement. It is the best colour for your brand if you are going for youthful, bright, exuberant and energetic. Yellow simulates fun. It’s the colour of sunshine which spells happiness. It emits a cheery vibe that says I am affordable and easy to get. Green is usually connected with growth. In business, it is most times associated with nature and money. if your brand has to with nature, i.e. the environment or it has to do with the finances, i.e. money, then you should consider the colour green. Blue suggests maturity and stability. So, if you are hoping to sell a sort of assurance that you are dependable, then blue is the perfect colour. White usually connotes openness and sincerity. All forms of business interactions require trust. There is hardly any brand design that is lacking in white. Purple is associated with sophistication. if you are going for a royal and luxurious look, you can try purple. Black is mostly associated with mystery and sophistication if your aim is classy black is your colour. Pink is customarily associated with the feminine gender although this has been debated it is still general practice. But if your brand is targeted at women, for example, fashion houses, make-up stores then pinks is definitely your colour. 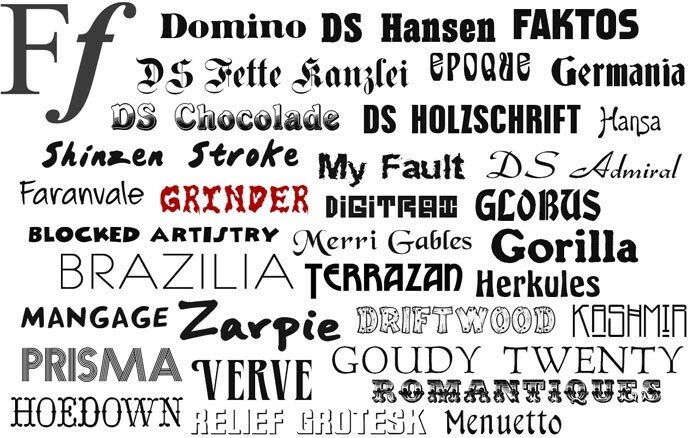 Basically, typography is concerned with the type of Font(s) you choose for your brand. Your typography is one of the first things clients or prospective clients see, and it affects comprehension and interest in digital advertisement marketing. It is important that the font is simple and easy to read and understand. When building a website don’t use more than three fonts. Depending on the environment you want to create, i.e. formal or relaxed you can choose serif fonts or sans-serif fonts respectively. There are majorly four different kinds of typography. Serif fonts: This includes fonts like Times New Roman or Garamond. These fonts have a sort of anchor at the base or edge of the letters or what some people will regard as little feet. This classic typography is excellent if you are going for a formal, old school, traditional and dependable appearance. Sans serif fontsinclude fonts like Helvetica or Franklin Gothic. Just like the name suggests similar to serif font only they do not have the anchor at the edges. Their letters have smooth edges and give a more lustrous, contemporary feel to brands. Script typographyis cursive in nature, an example of these fonts is Allura or Pacifico. They are much more fun, and they add a sophisticated feel to the branding. social media branding fall under the purview of key elements of brand identity to consider is. Most people pay attention to their phone and the internet than billboards and newspaper. So, it is important that the business leverages on social media, e.g. Twitter, Facebook, Instagram, etc. to both attract and keep the clients. Consistency is key between the different channels of social media interaction such that all are sending the same message. This shows professionalism and communicates coherence of the brand identity. The brand should tell a story of the past, the present and the future, showing specialization and ingenuity. Sometimes there is a tendency to probably to overlook the fact that the brand no matter how big has to be seen as an entity having character and a personality. You can see this by looking at the team members, strengths, skill sets and talents. As a company, you could decide to put headshots and short bios of your team members on the website, company brochures, social media pages etc. The concept strengthens the thoughts of the client that the company can handle their account or the job because they can place a face to the brand. When a business focuses on its online branding, there is a probability that you forgo offline branding or marketing such as customer relation, customer care and satisfaction amongst other things. Some things may never go out of styles such as samplers, business cards, greeting cards for special occasions, novelty gifts, letterheads and the likes. They are part of the visual identity of the brand. It what people can see and interact with both tangible and online. The packaging of the product if is a physical one must be excellent so as to attract the right customers. The cover on a bottle, the label on a product or the verification mail for an online purchase is all part of packaging to consider for offline Brand Design. Brand perception is not essentially an element of brand visual design. It is more concerned with the ideological stance of the customers as regards the business. It involves both existing and prospective clients and what you can do to put their opinion in the right perspective. One of the easiest ways is to have the products endorsed by celebrities or influencers in that business niche. By using the products, talking about it positively and even advertising the products these influencers are able to capture a greater percentage of people. All these are ways to develop the brand identity design, in turn, the business as a whole. In a nutshell, a brand can be as big as you want it to be if you play the cards right. we have highlighted elements of brand identity designs and their importance. But how your team is portrayed is very vital to success because your company has to be seen not just as a company but as an entity with a character that deserves support and loyalty. That is how you successfully build a brand.